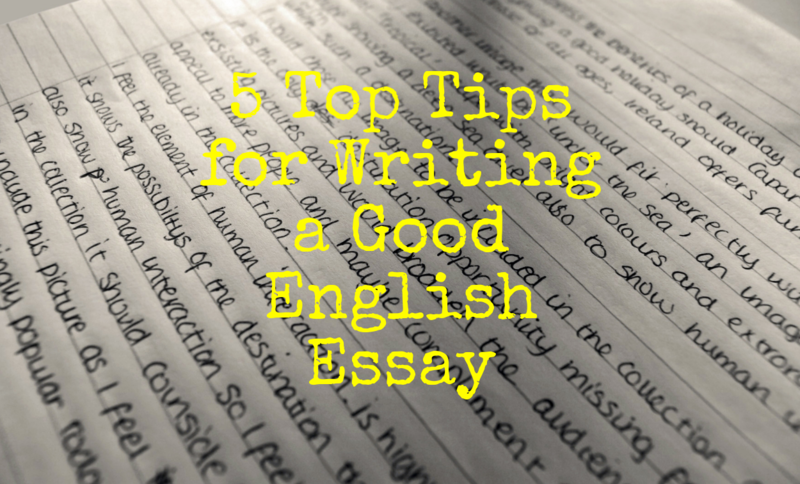 Our team of English tutors at REM+ Tuition have come together to pool their experience, knowledge and know-how to produce this guide that explains the five key elements to writing a good English essay. What does a well-organised essay look like? Many students struggle with introductions and conclusions to essays simply because they try to include too much information in them. For most secondary school English essays, 10% of the total word count of the essay should be the maximum length of each. A good introduction will refer to the essay question, so that whoever is reading your essay knows that you have understood the task and that you will be making an attempt to answer the question. In addition, an introduction highlights the topics that you are going to discuss in your essay, but only in general terms. This is not the place for specific examples—instead, these should be reserved for the main body of the essay. An effective essay conclusion uses a similar structure. Again, the question should be referred to and you should cite the evidence that you included in the essay to show how you proved your point. The conclusion is not the time to introduce new ideas or points into your essay. Rather, it is the time to recap the points you have already made, reminding your reader what they have just read. In order to ensure that what you write in your essay is always relevant to the question, you need to be disciplined and sometimes quite ruthless with yourself. It is often easier to make sure that what you are writing is relevant if you become more selective during your note taking. If you can keep the requirements of the question uppermost in your mind as you re-read your text, take notes, and begin organising your writing, you will always find it easier to ensure that what you write is relevant. A useful tip for students who struggle with this is to reframe the question in your own words; imagine that you are explaining to another person what you have to write about. This can help you to clarify the question for yourself (although if you do this, check with your English tutor that you have rewritten it for yourself in a way that isn’t accurate). Before you begin writing, during the writing process, and once you have finished writing, keep asking yourself, “Have I answered the question?”. Opinions matter in English essays. You should never be afraid of saying, for instance, whether you think a writer’s choice of language is effective or not, whether a character is interesting and engaging, or whether a non-fiction text convinces you. As long as you have the textual evidence to support your view, you should never shy away from expressing your views about a text, as long as these are reasoned and you can provide quotes that back up what you’re saying. A simple way to ensure that your argument is coherent, logical and is easy to follow is through the effective and appropriate use of connectives. This means that your ideas and paragraphs are connected to one another in such a way that your argument can be followed easily by your reader. It is always important in an essay to offer evidence for any statement or analysis that you make about the text. Evidence should consist of a quote from the text, but is also important that the part of the text that you quote is relevant and accurately supports the point you want to make. Long, rambling quotes that are not strictly relevant to the point you are making suggest to your reader that you are unsure of what you are saying—or perhaps that you are just trying to bolster your word count! On the other hand, textual evidence that is incorporated into your writing effectively suggests understanding and control and that you are clear in the point you are wishing to establish. It is perfectly acceptable to edit quotes from the text that you are using as textual evidence, provided you make it clear that you are doing so.